GetDivorcePapers.com provides professionally completed, 100% court-approval, money-back guaranteed South Carolina divorce forms. Just create an account, complete the interview, and file for divorce. Our case managers do all the work for you, and send the completed South Carolina divorce forms when they are ready to be filed. It is necessary for the plaintiff to be the resident of the South Carolina for more than a year immediately before filing the case. However, if both the spouses are residents here, then the time limit reduces to three months only. Papers can be submitted into the county of either of the spouses' residency or where both have been living together before the separation. Irrecoverable separation between the two without any cohabitation for a whole year. Willful abandonment for complete year. Religion and faith of child as well as that of parents. Nature of the divorce case. Best nurture and welfare of the child. 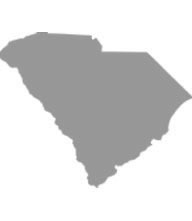 South Carolina is an equitable distribution state in term of property. It gives the ownership of the separate properties, gifts, and inheritances of the spouses to them without dividing it. However, marriage property of both the spouses is divided into equal halves on the following basis. Behavior of spouses during the marriage. Age and health of the spouses and duration their marriage lasted for. Income and earning capability of each spouse. Needs of each spouse on the basis of education, health, and skills. Distribution of marriage home and the custody of the child. Tax and other financial liabilities on each of two spouses. Ages and physical as well as mental conditions of both spouses. Education, skills, and employment of the spouses. Need of any additional training program by the spouses. Income of both spouses and future chances of employment. Educational, health, and social needs of the child. Future prospects of the child. If total number of children in family are more than 6. Any past agreement between the spouses. Court has the rights to suggest mediation for the spouses if chances of reconciliation are there. It will also give importance to the observations made by the referee in this case. Court can prolong the case for three months before the final declaration. There is no need of a lawyer when applying for divorce in the state of South Carolina. A divorce case which is filed without any help of an attorney in any of the states is known as Pro Se Divorce. Literally, Pro Se is a Latin phrase and it means "on her or his own". Process of getting the divorce without the help of lawyer may vary from one State to another. These types of divorces are perfectly legal and enforceable in South Carolina, and are actually very convenient. Usually, once settlements have been made regarding property distribution and custody matters among the spouses in case of a mutual divorce, Pro Se Divorces are filed.